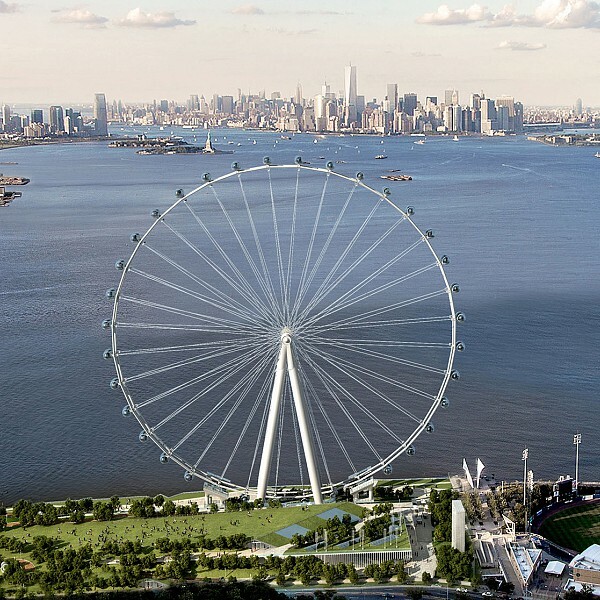 Description: This project entails the design of The New York Wheel, a 9,000 sf, 625-foot tall Ferris wheel in Staten Island, NY, as well as an associated 110,000 sf terminal building. 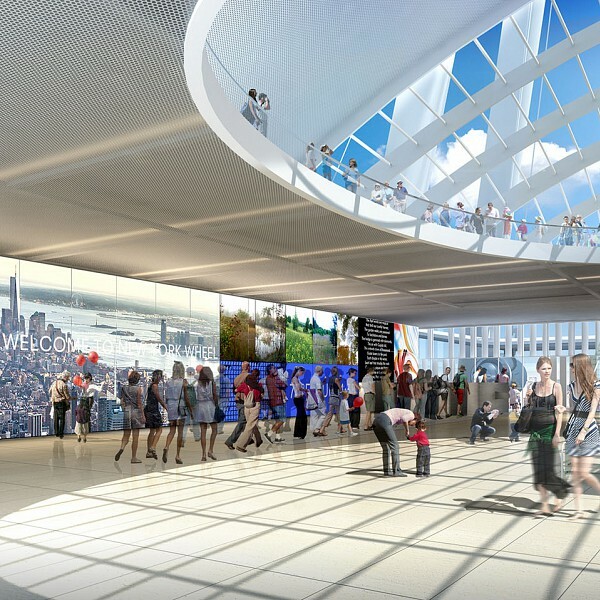 The terminal building contains public circulation and queuing/loading areas, exhibit areas, entertainment areas with a 4-D motion theater, and retail (food, beverage, and general retail). The project also includes 295,900 sf of garage space which includes approximately 950 spaces. Building systems include a high-efficiency chiller plant with magnetic bearing chillers for cooling, a high-efficiency condensing boiler plant for heating, a redundant emergency generator plant to support both the terminal building and the wheel in case of a power outage, and a demand control ventilation system with energy recovery for reduced energy usage. 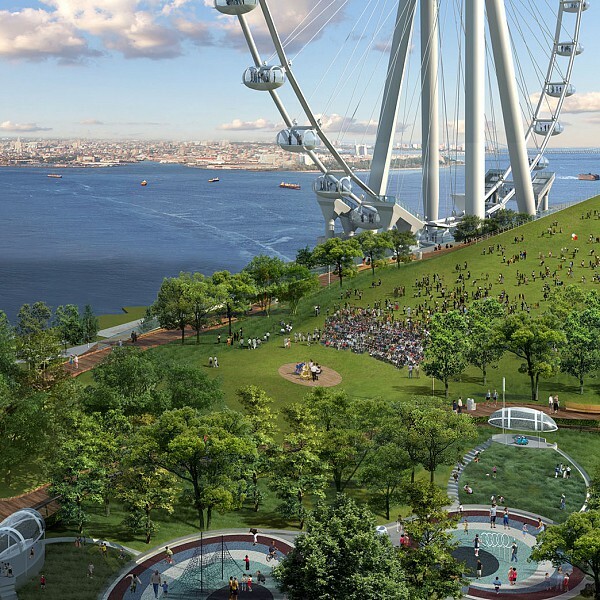 Sustainable systems include photovoltaic panels and wind turbines that supply partial electric load.